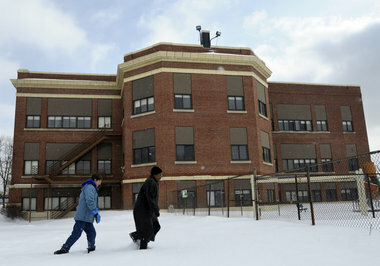 The Grand Rapids PressEastern Elementary, which closed in 2008, is one of four vacant Grand Rapids schools pegged for apartments. GRAND RAPIDS â The transition of four empty schools into “workforce housing” could start this summer, launching what one green space guru called the future of urban park development. 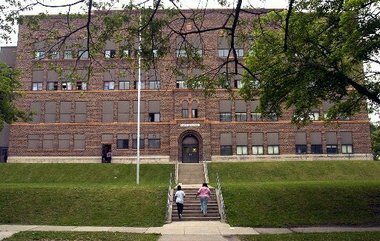 A $14 million plan by Ojibway Development for three of the former Grand Rapids Public School buildings got city Planning Commission approval this week, with a $4 million plan for the fourth forthcoming. The approved projects will turn the vacant Eastern, Lexington and Oakdale schools into 107 low-income apartments, with the playgrounds converted into 4 acres of city parks. Financing plans include Brownfield re-use incentives, with a portion of future tax proceeds to help fund park development. A City Commission hearing on the Brownfield reimbursements is Jan. 24. “We know these aren’t going to be the last schools that go on the market, and we really would love to get out in front of this to make sure that going forward we’re not losing parkland,” said Steve Faber, Friends of Grand Rapids Parks executive director. File PhotoThe old Lexington School building on Lexington Avenue NW. With more than 20 percent of Grand Rapids parkland on school sites, public green space is at risk as GRPS closes campuses, Faber said. The partnership with Ojibway will help preserve park acreage in the former school neighborhoods, he said. But Barb Hickedy, who lives near the 45 Lexington Ave. NW site, called the parkland “the carrot to tease the donkey” and win support for the apartments. She fears the apartments will further clog an already-cramped parking situation near her home. Developer Bruce Michael called the apartments “workforce housing” targeted to tenants with annual household incomes from $27,000 to $36,000. Those amounts are required under the low-income housing tax credits being used to help finance the project, he said. The school hallways will stay intact, with classrooms converted into dwellings. 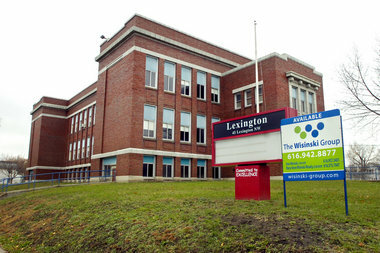 The Lexington school will have 25 apartments, mostly 2-bedrooms units. Oakdale will have 39 units: half with two bedrooms, 13 with one bedroom and 5 with three bedrooms, along with two studio apartments. The Eastern site at 758 Eastern Ave. NE will have 43 units: 27 with two bedrooms, 14 with one bedroom and 2 with three bedrooms. Stocking would have an estimated 35 units. Monthly rents will be $493 for a studio, $633 to $703 for a 1-bedroom unit, $760 to $844 for a 2-bedroom unit, $975 for a 3-bedroom unit and $1,087 for a 4-bedroom unit. 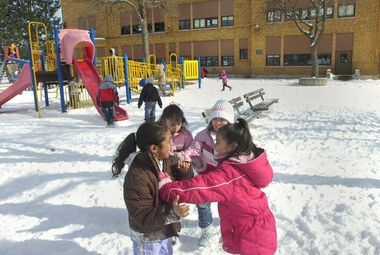 The Grand Rapids PressGrand Rapids students play outside Stocking Elementary school. The school closed in 2010, and the district has an offer to buy it to convert into apartments. The Planning Commission voted unanimously to grant permits for the redevelopment, swayed in part by the limited potential of the buildings for re-use as schools. “The only reason this makes sense is because (the building) is there now and the looks are going to be the same” as apartments, said Commissioner James Doezema, noting that he would not have supported new apartment construction at the sites. GRPS last summer agreed to sell Ojibway the three sites for $1.6 million. A $535,000 deal for Stocking Elementary School, 863 Seventh St. NW, is forthcoming. Renovation of all four sites could start in August, with occupancy in 2013, the developer said. The timeline for Stocking was thrown off due to complications regarding the city’s first right of refusal on the property, said Suzanne Schulz, city planning director. Friends of Grand Rapids Parks got a grant* to fund design of the parks. Public meetings are planned in the coming months: Feb. 4 for Eastern, Feb. 11 for Lexington and in March for Oakdale.